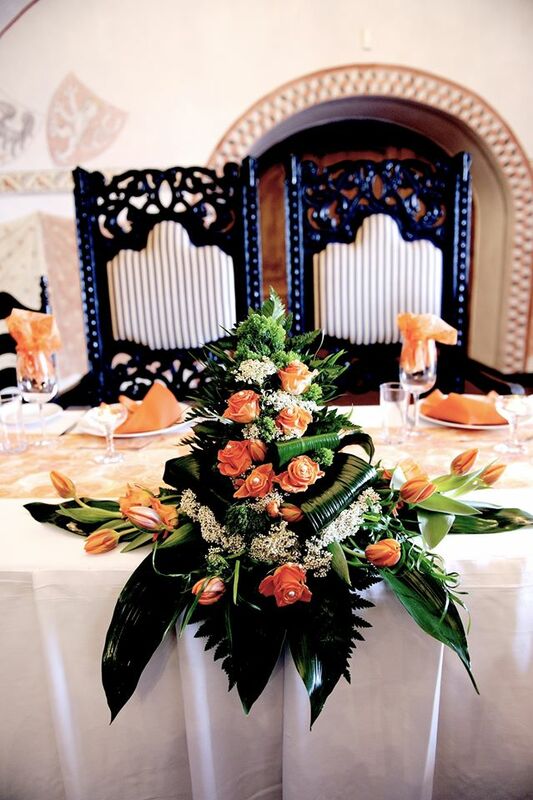 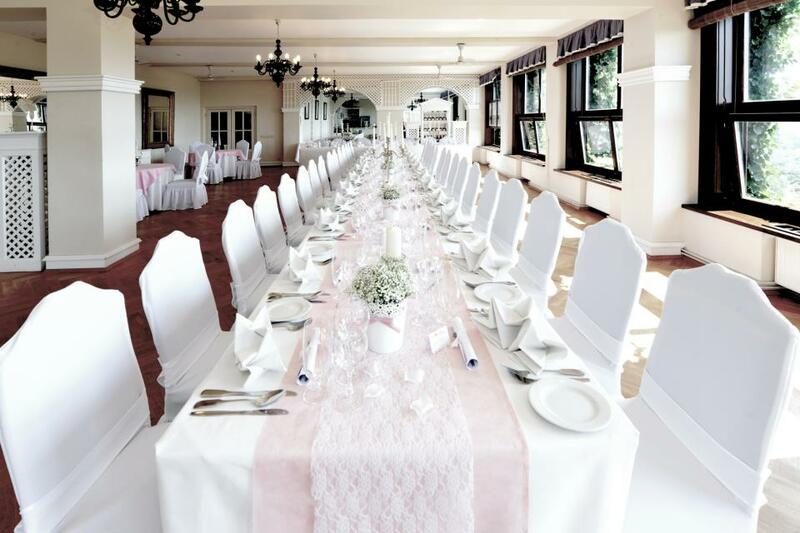 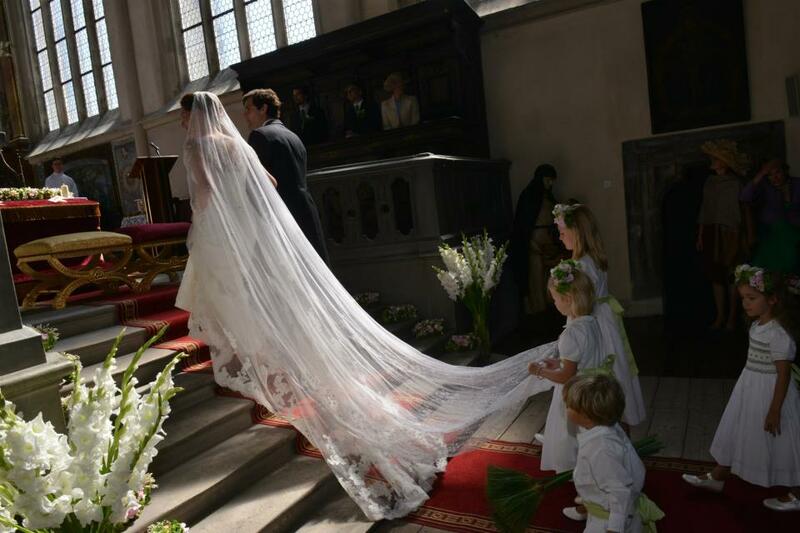 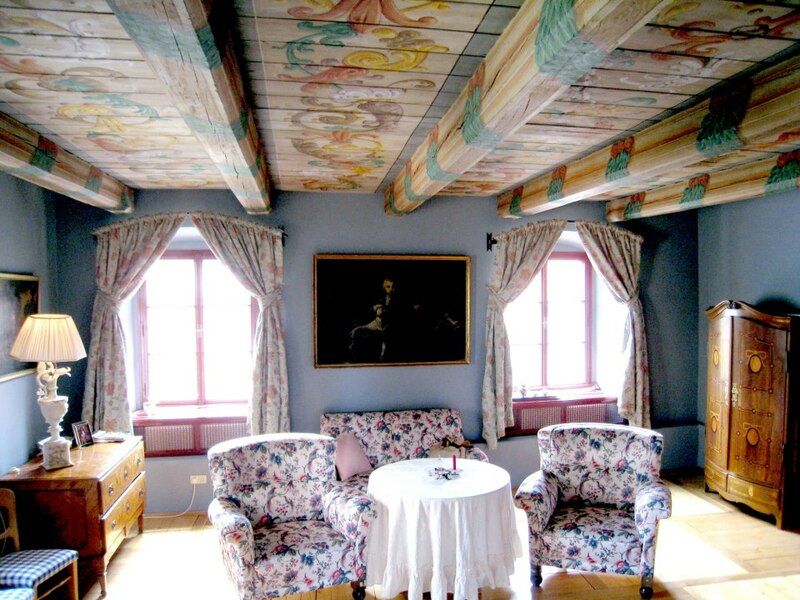 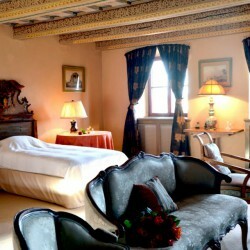 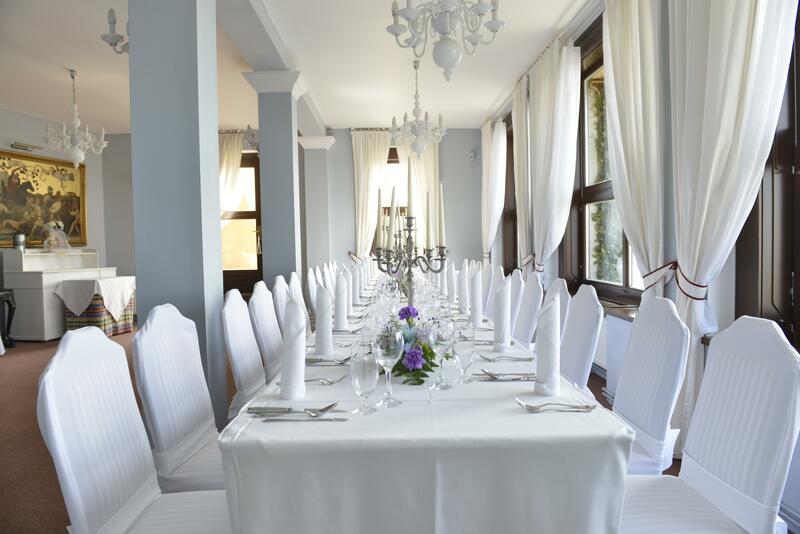 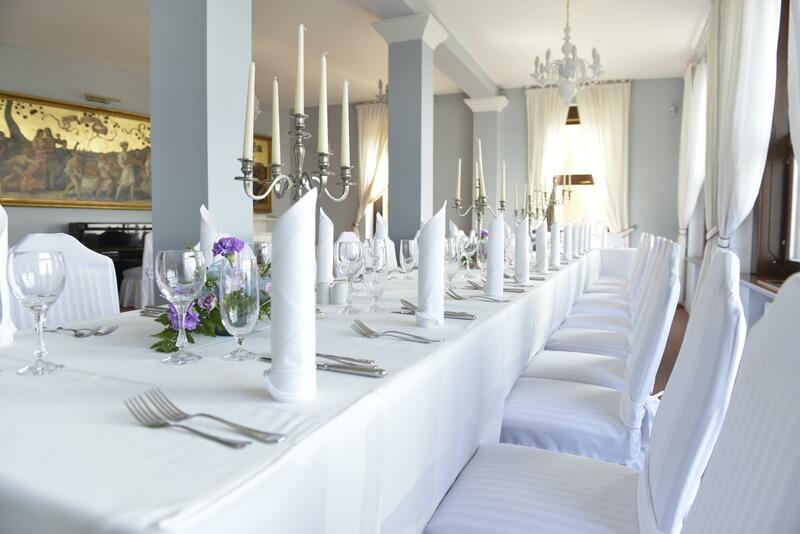 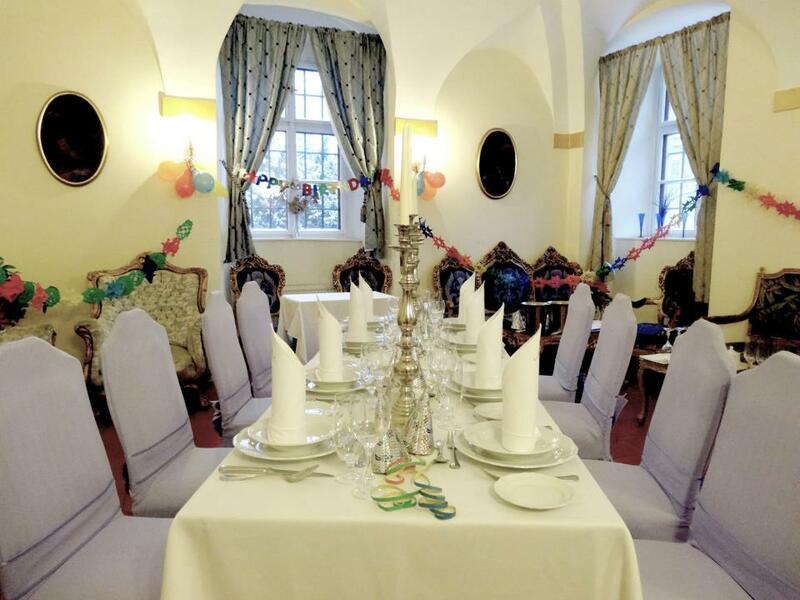 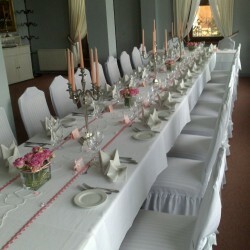 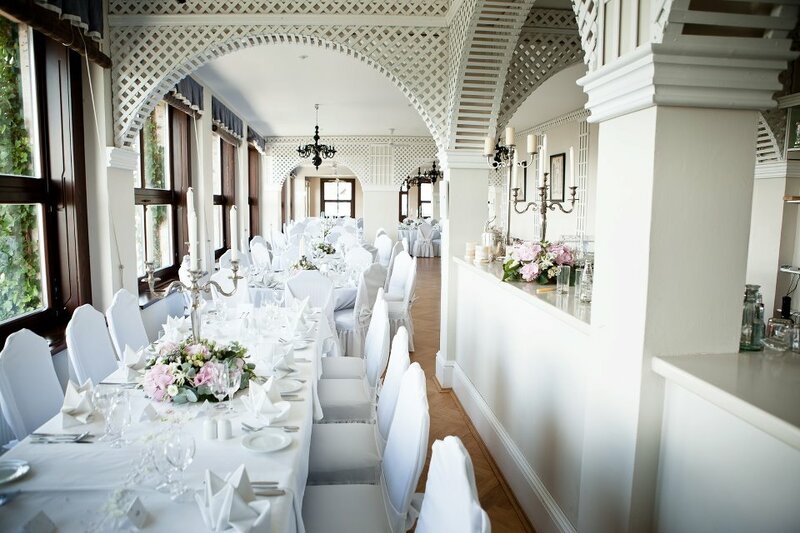 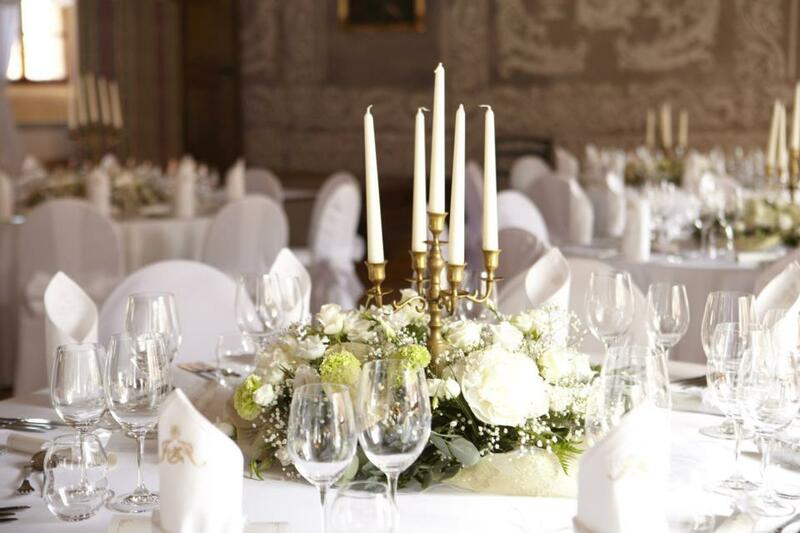 Experience your special day at a place where 23 Czech Queens and Princesses lived. 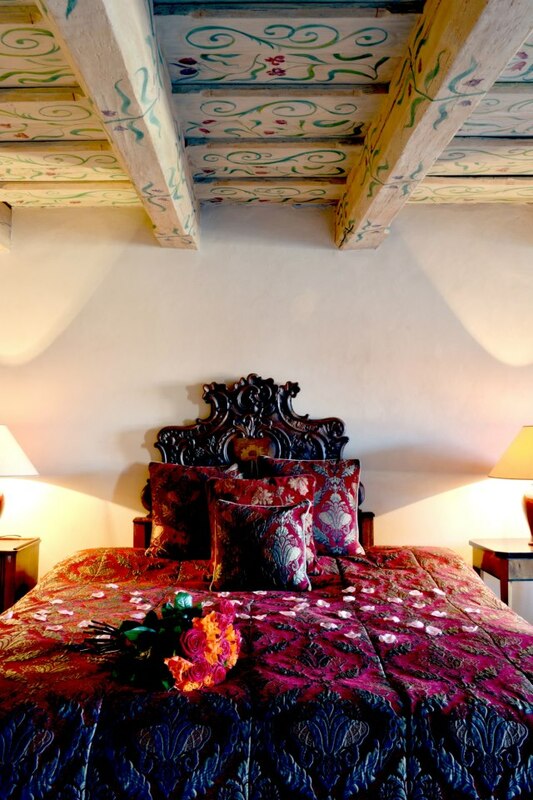 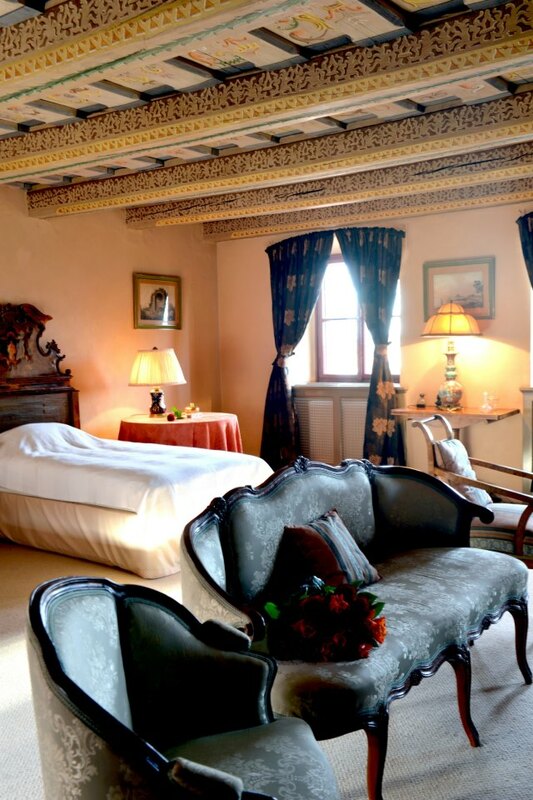 Start your journey through life together where Charles IV enjoyed beautiful moments with his wife, Elizabeth of Pomerania, in the chateau with centuries of history. 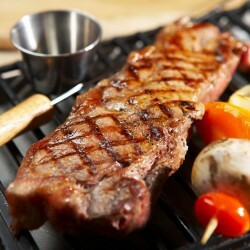 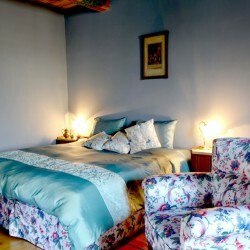 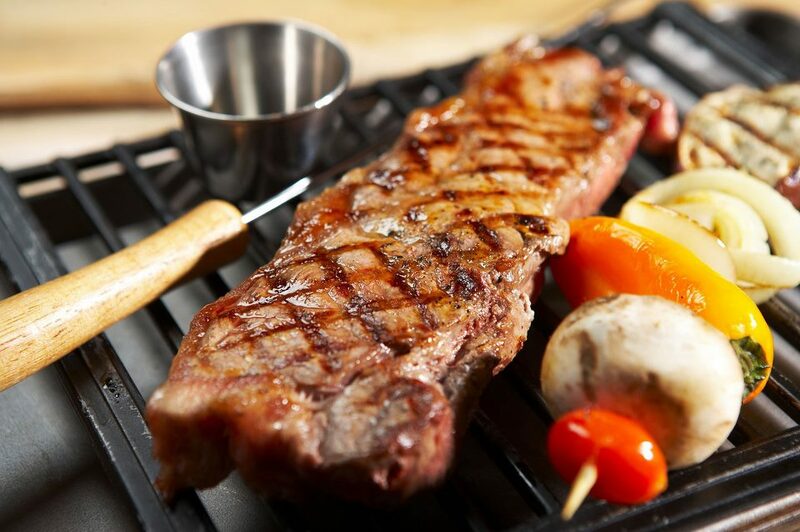 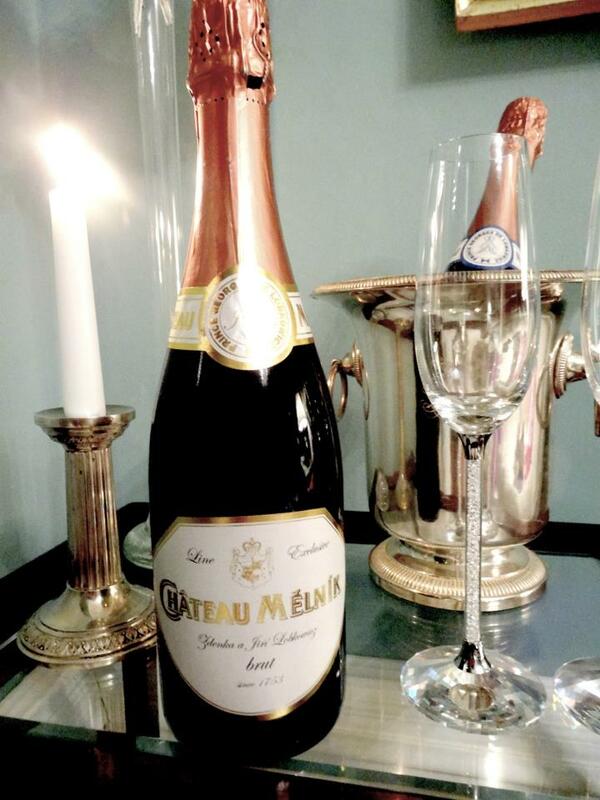 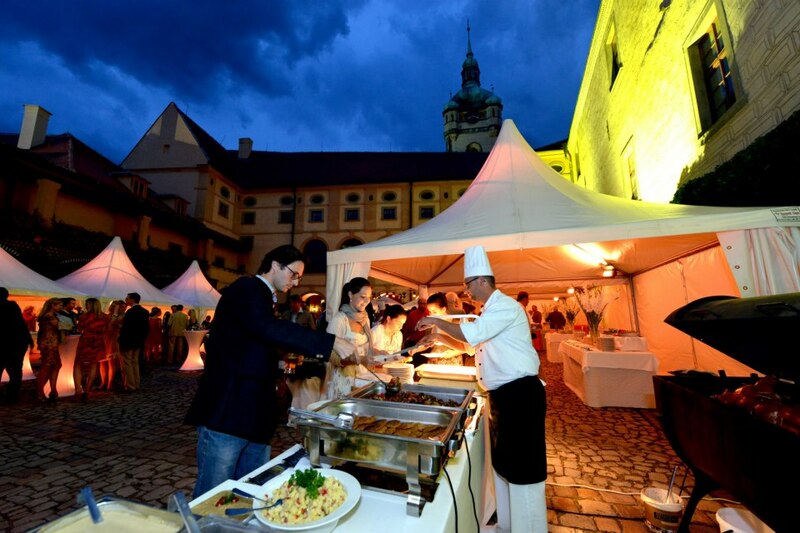 This is just a few reasons for spending one of the most important days in your lives here at the Mělník Chateau. 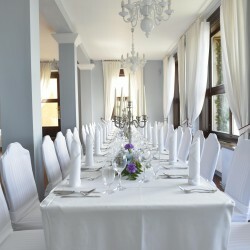 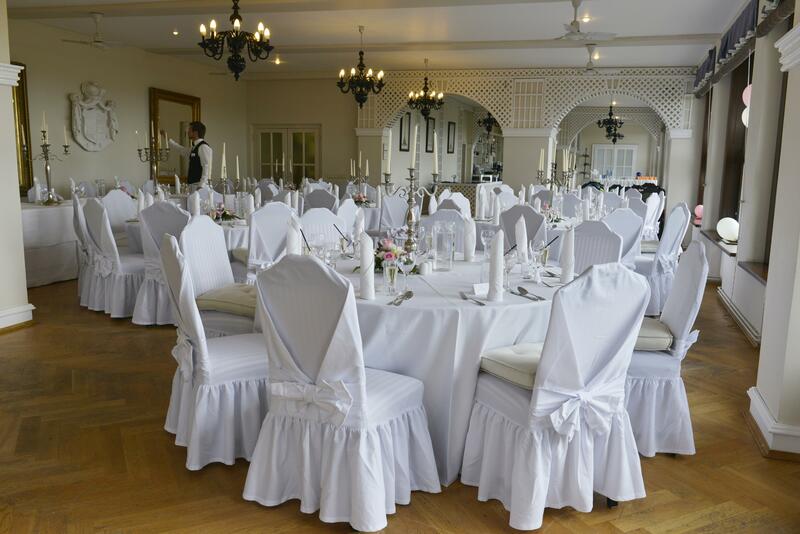 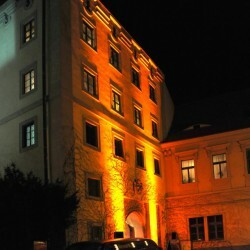 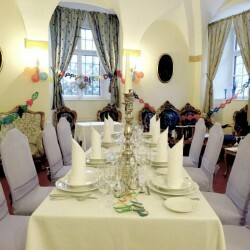 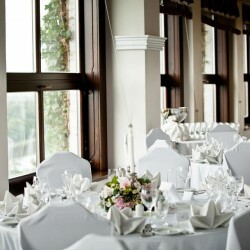 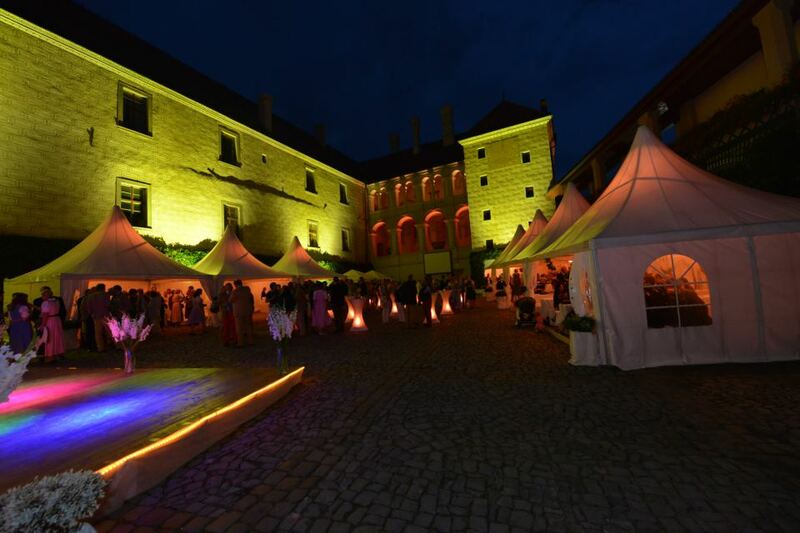 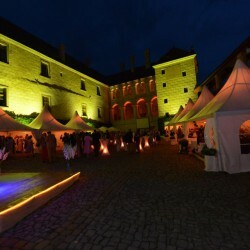 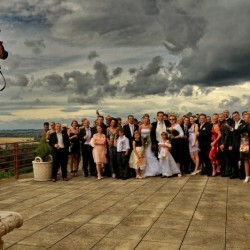 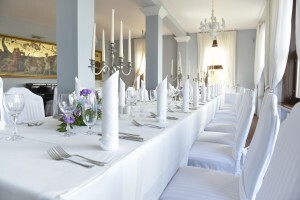 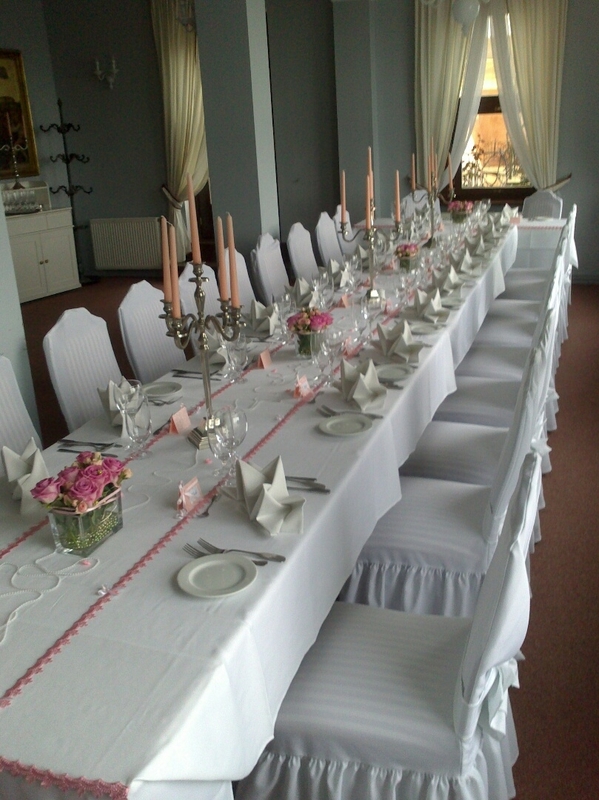 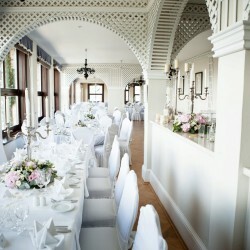 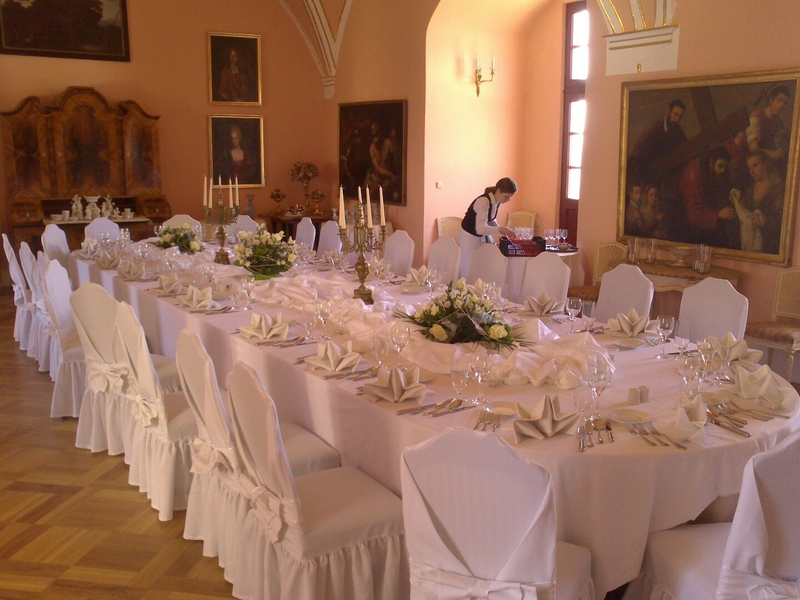 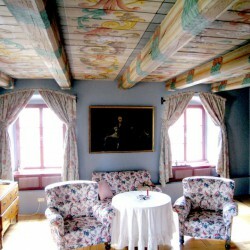 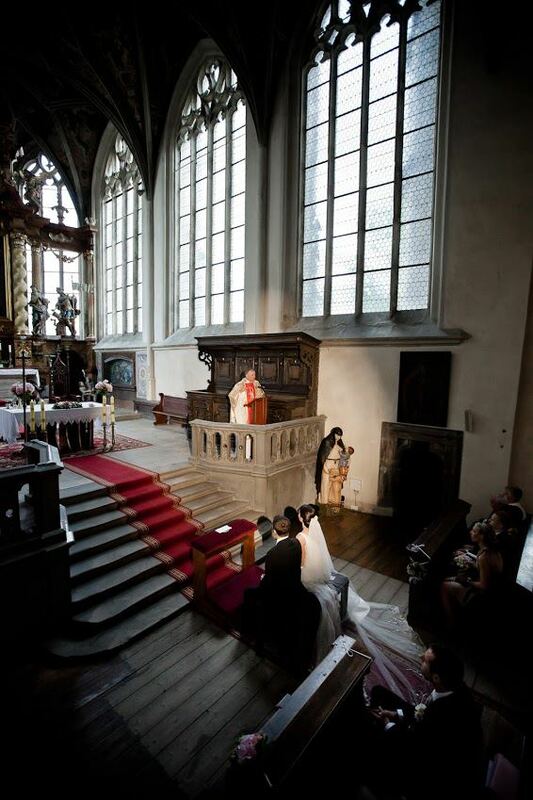 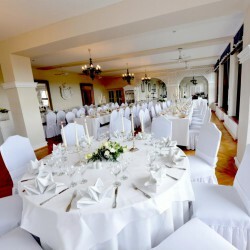 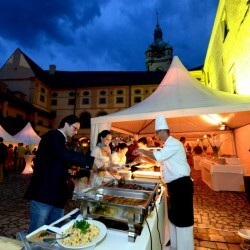 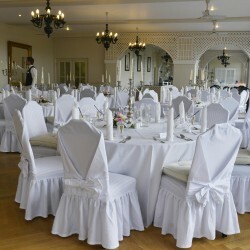 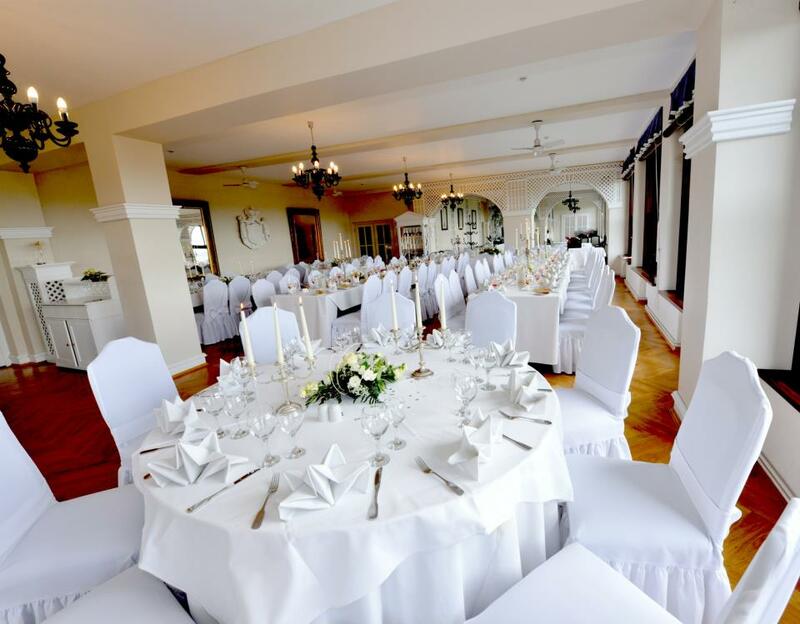 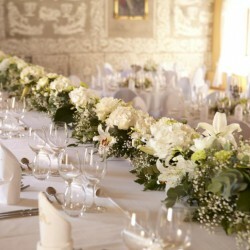 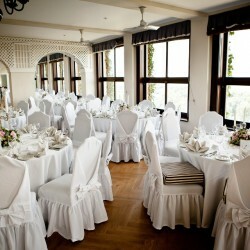 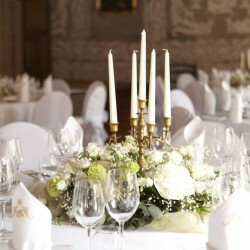 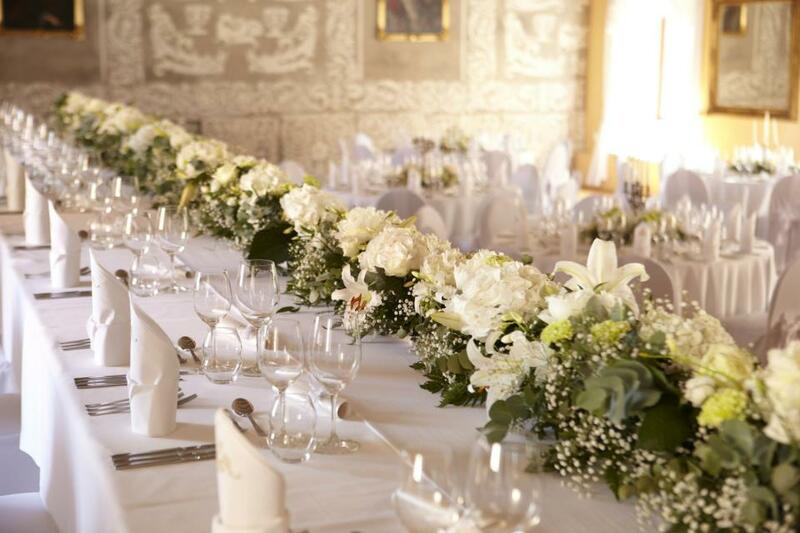 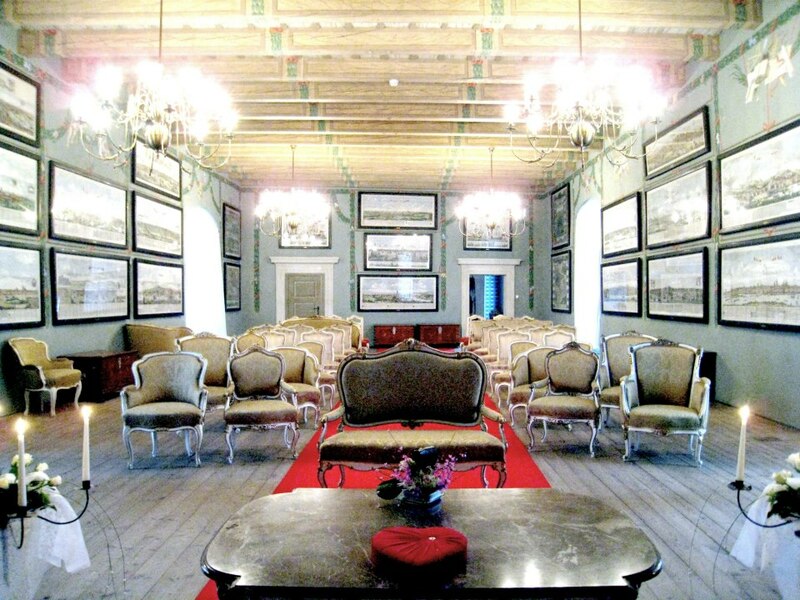 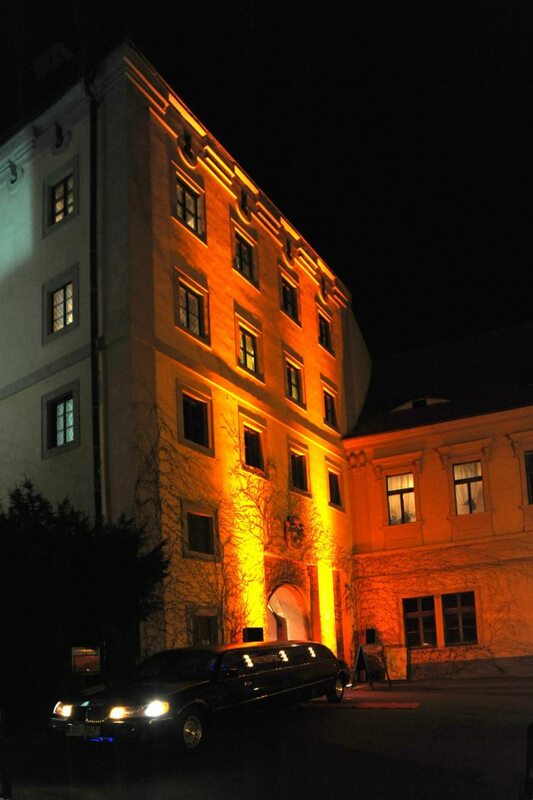 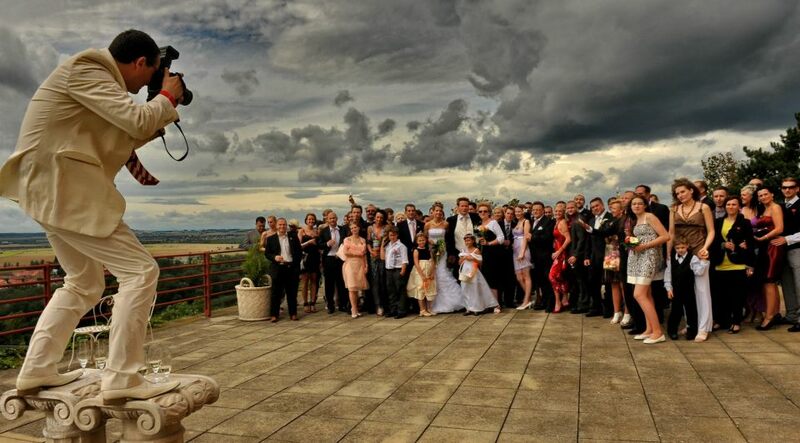 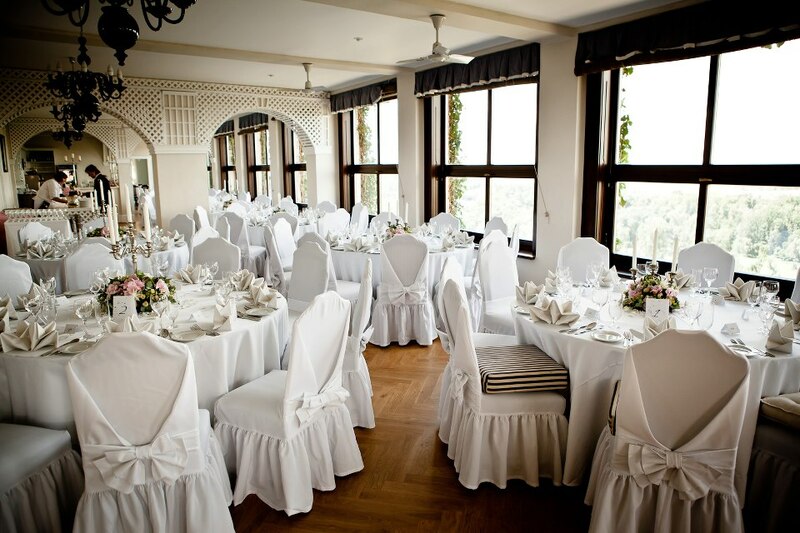 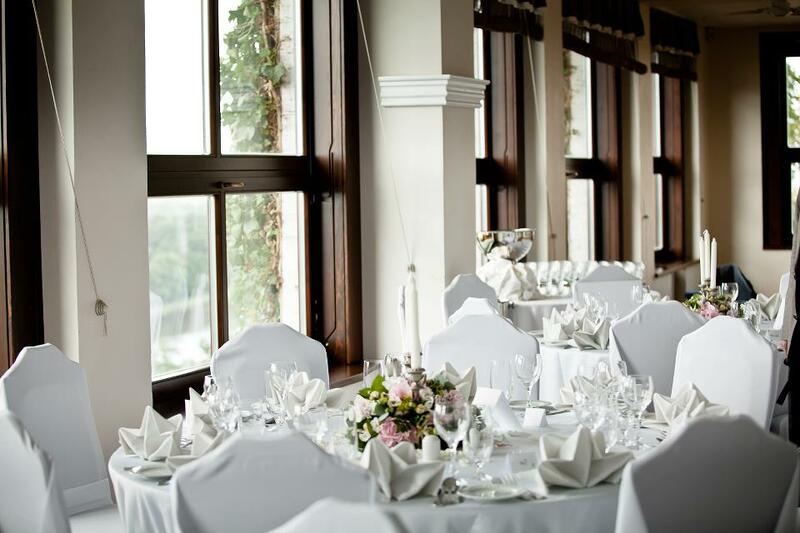 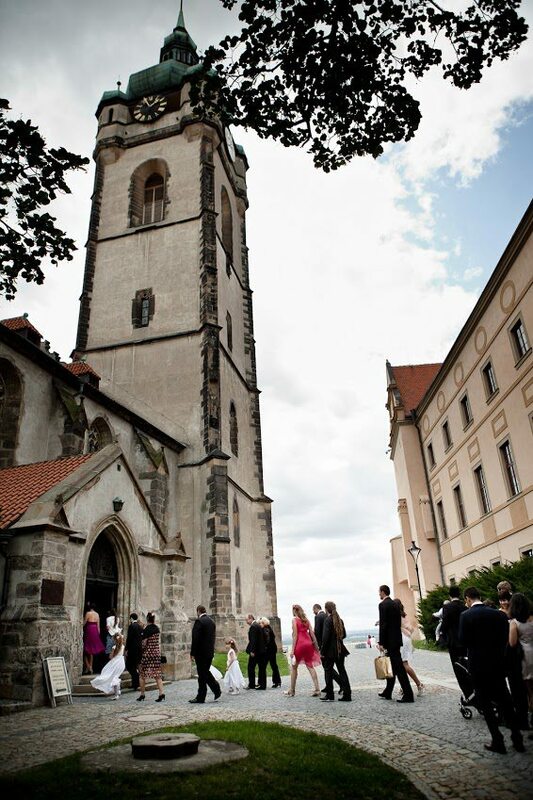 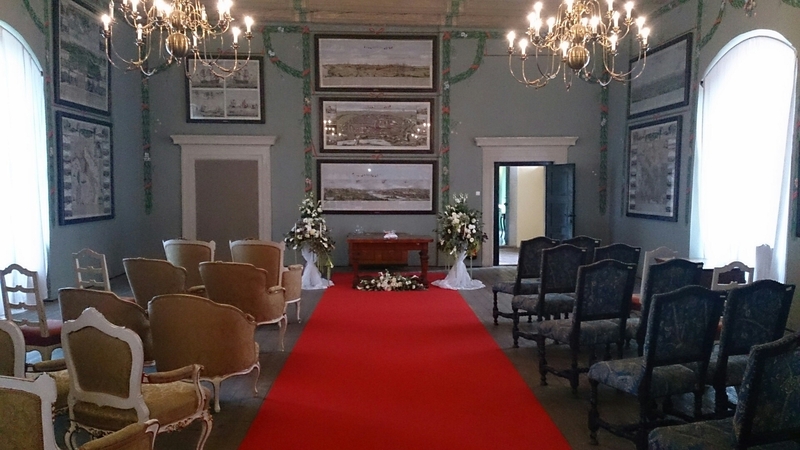 Wedding ceremonies at the Mělník Chateau take place in luxurious historical buildings. 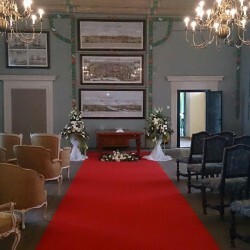 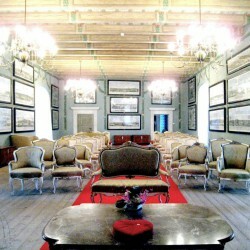 The most popular of these are the Grand Hall with a unique collection of maps and vedute. 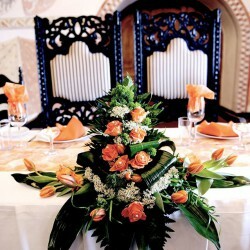 If you prefer a more intimate environment, we offer a romantic Green Room. 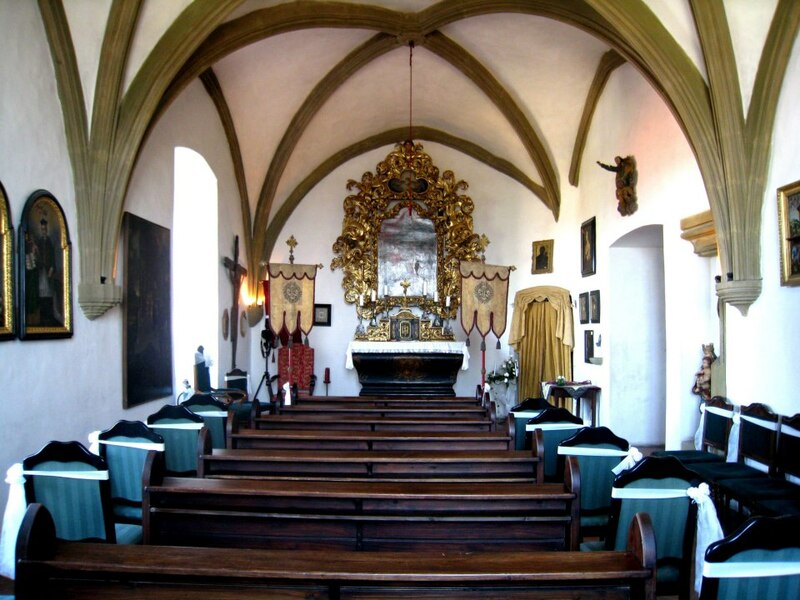 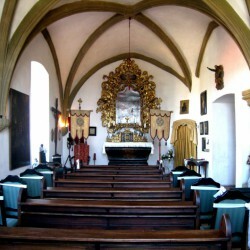 Church wedding can take place in the Chapel of St. Ludmila, which was built by Elizabeth of Pomerania. 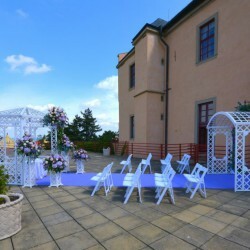 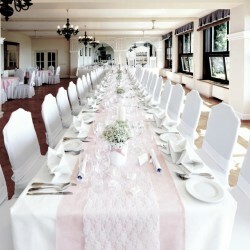 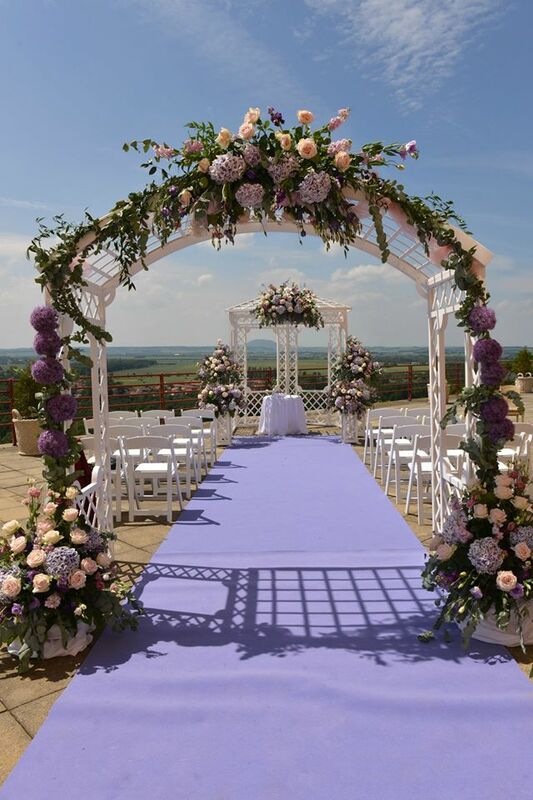 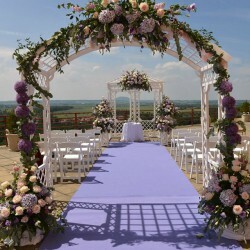 The romantic environment of the chateau garden is available for outdoor and smaller weddings or the entire chateau courtyard for larger weddings. 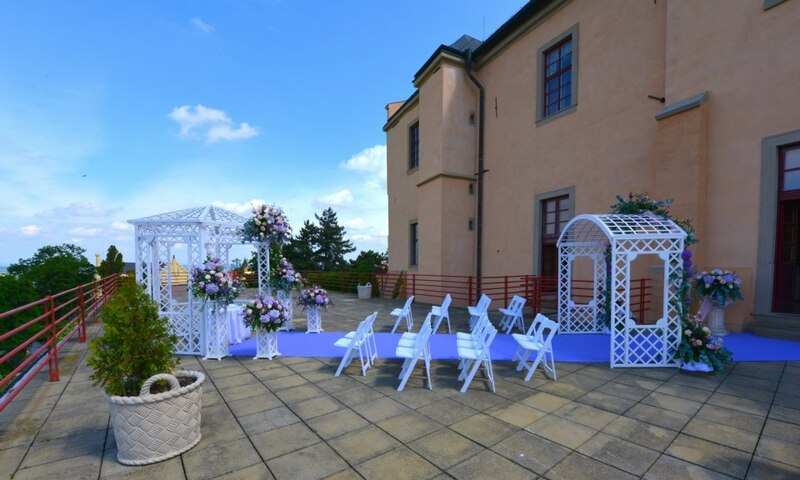 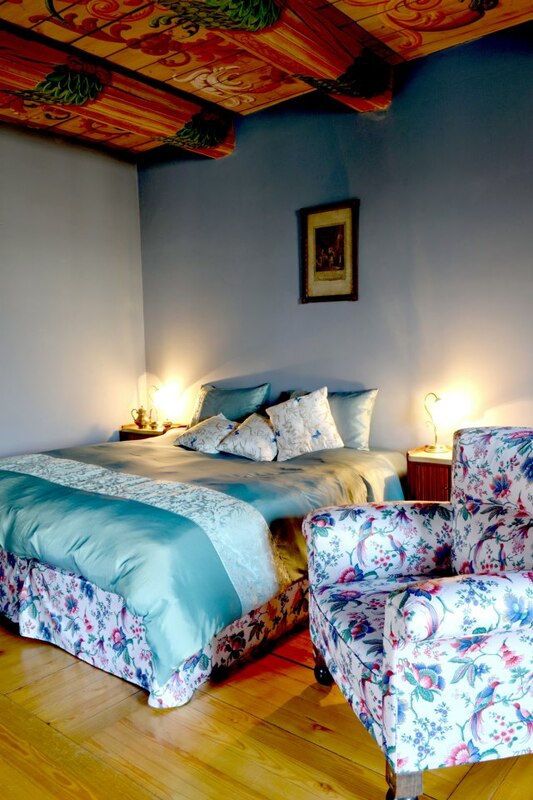 Our specialty is the Lobkowicz Private Terrace overlooking the confluence of the Elbe and the Vltava or the spectacular private park with the Rococo Hořín Chateau in the background. 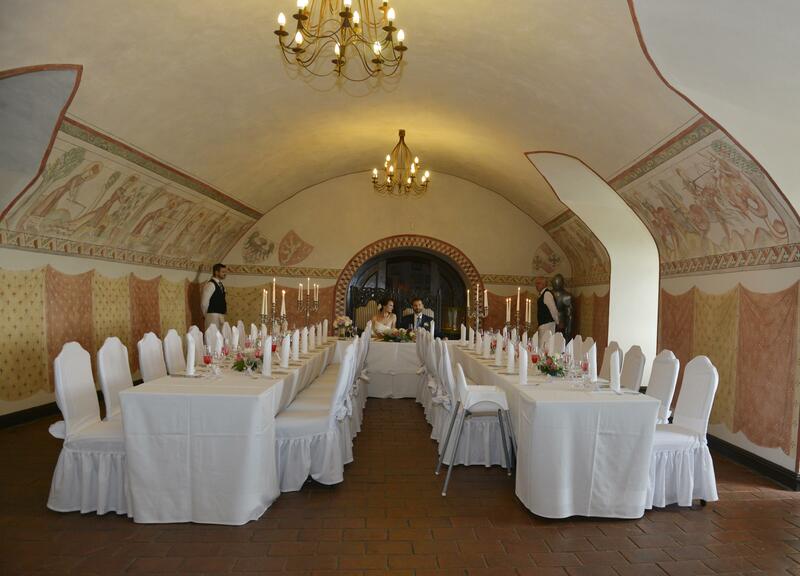 Lovers of unconventional weddings will appreciate the medieval atmosphere of the chateau cellars, founded by Charles IV himself. 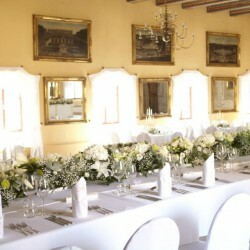 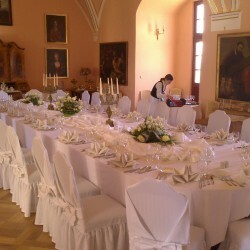 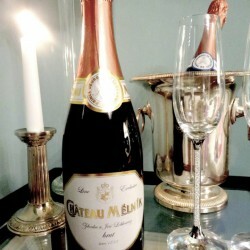 A very popular part of weddings is the tasting of the famous Lobkowicz wines in the chateau cellars built by Charles IV. 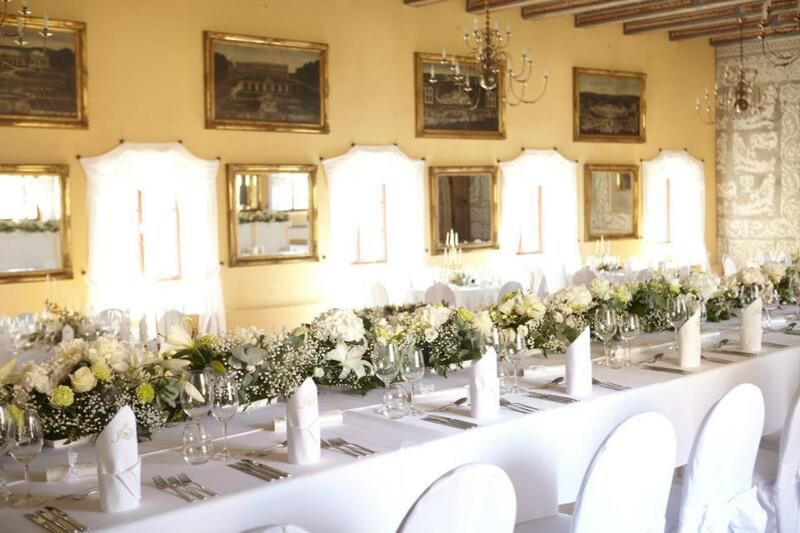 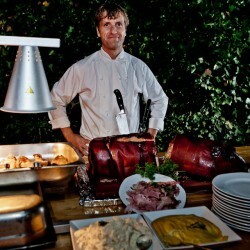 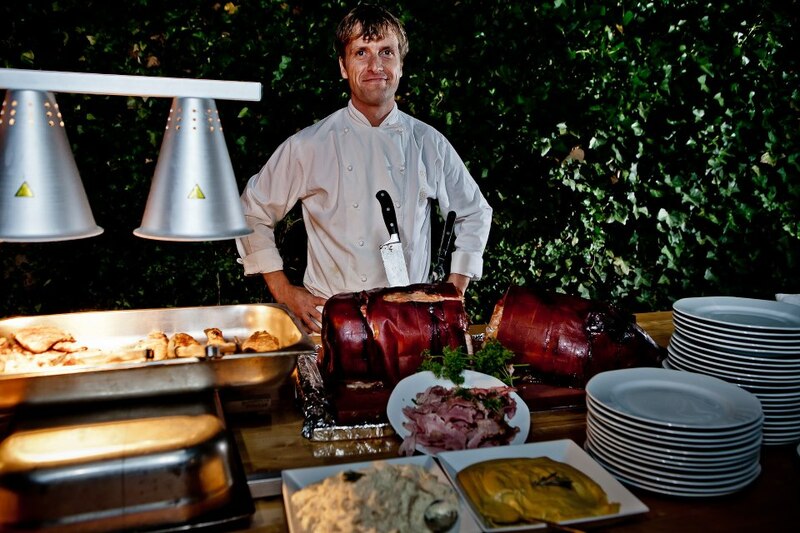 Tasting for weddings takes place under the guidance of an experienced chateau winemaker who will gladly present selected wines and offer you cheese, sausage or chocolate variations.